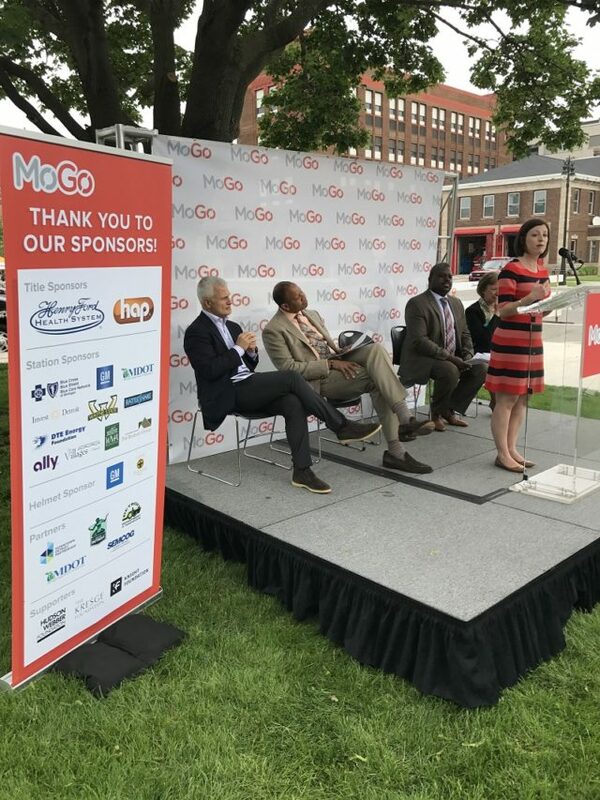 The MoGo bike share system became the first public bike share system in Detroit this week, but they’re also taking cues from the cities that have come before them. The system is starting with 430 bikes, distributed at 43 stations throughout the city. 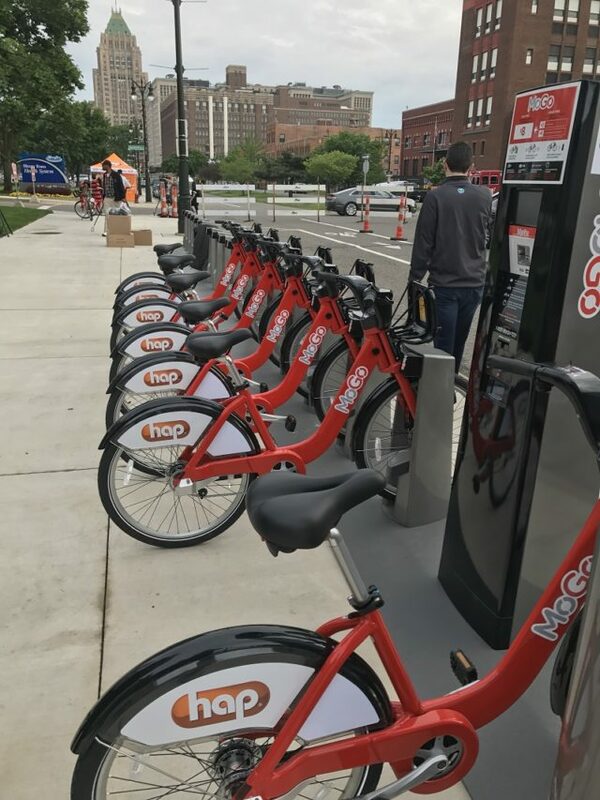 Detroit’s bike share launch is significant, given that there are few cities of its size who are initiating bike share for the first time. The launch arrived after a five-year planning process. 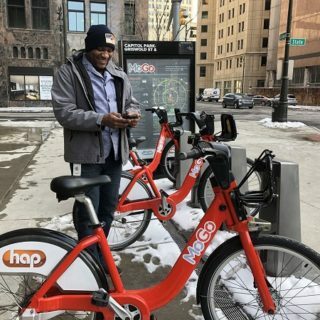 Detroit Bike Share is an affiliate of the Downtown Detroit Partnership, alongside the City of Detroit, Henry Ford Health System, and Health Alliance Plan. 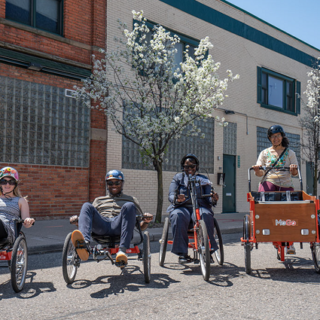 We recently covered Detroit’s plans for adaptive bike rentals to address issues of physical disability. The system is also looking to the City of Philadelphia and other locations for guidance and best practices on assisting low-income riders. According to a press release, the Detroit system is offering a $5 annual unlimited pass called the Access Pass for qualified riders. 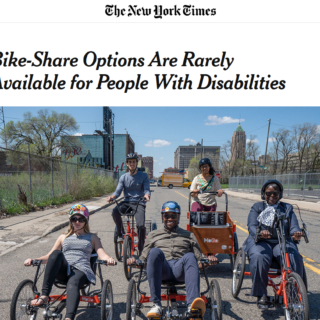 While some equity efforts are still in the exploratory mode (including convenings and focus groups), it’s clear that Detroit Bike Share is thinking about accessibility from a variety of perspectives.